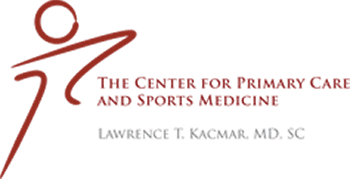 Dr. Lawrence Kacmar, MD, specializes in family medicine and sports medicine, both of which include elements of urgent care for minor injuries and illnesses. 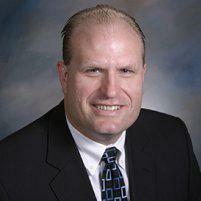 Serving the residents of Aurora, Illinois. Urgent care is neither a doctor's office nor an emergency room, but it has some features of both. Some physicians offer urgent care services in their offices for problems like a sprained ankle or asthma flare-up. However, urgent care is not meant to replace routine primary care -- the regular care people receive from family physicians or internists. Nor does urgent care provide the same complex and intensive level of care found in an emergency room. What Kind of Doctor Works in Urgent Care? Doctors who work in urgent care are usually generalists who have been trained in family medicine, pediatrics, internal medicine or emergency medicine. They must be able to make a diagnosis with limited information since the patient's medical records may not be accessible. Like a family physician, an urgent care doctor treats patients of all ages, and must be familiar with a broad range of medical issues. Although they may perform minor procedures like a joint aspiration, urgent care doctors don't usually perform surgery. What Conditions are Treated in Urgent Care? The focus of urgent care is to treat a condition that shouldn't wait 24 hours or more for treatment. Conditions like a sprained ankle, broken finger or toe, eye irritation and redness, minor infection, vomiting, and diarrhea, or a bad cough are all the sort of thing that might be treated in urgent care. A patient with a chronic problem like diabetes or heart disease might also be seen in urgent care, but, ideally, chronic problems should be treated by a family physician or internist on an ongoing basis. When Should I NOT Use Urgent Care? Urgent care is not for life-threatening emergencies. A heart attack, serious head injury, or major trauma like a broken bone sticking through the skin should be treated in an emergency room. Other conditions that require emergency room care are difficulty breathing, uncontrollable bleeding, moderate to severe burns and knife or gunshot wounds. Babies under the age of three months who have a fever should also be seen in an emergency room.